For a generation, the huge, whitewashed storage tanks at America’s largest oil refinery in Port Arthur, Texas, have stored almost nothing but Saudi crude. 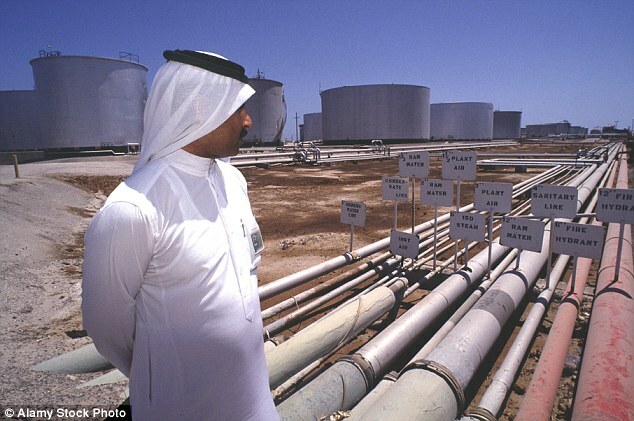 The plant is owned by Saudi Arabia’s state-run oil company, Aramco, and since it first bought a stake in 1988, the Motiva refinery guaranteed the kingdom a strategic foothold in the world’s largest energy market. The tankers carrying millions of barrels a month of Arab Light crude from Saudi export terminals to Port Arthur were testament to the strength of the energy and political ties binding Riyadh and Washington. All of a sudden, there are very few Saudi ships arriving in Texas. Since July, Aramco has constricted supply, attempting to drain the crude storage tanks at Motiva -- and many others across America -- part of a plan to lift oil prices, even at the cost of sacrificing its once prized U.S. market. While Motiva is most affected, the rest of the U.S. oil refining system, from El Segundo in California to Lake Lake Charles in Louisiana, has also taken a hit. The result: Saudi crude exports into America fell to a 30-year low last month. At a stroke, the freedom from Saudi oil that’s been a rhetorical aspiration for generations of American politicians, from Jimmy Carter to George W. Bush, is within reach -- even if it’s largely the choice of supplier rather than customer. The export drop was part of a wider undertaking by the Organization of Petroleum Exporting Countries to fight a global glut that has weighed on oil prices. OPEC and its non-OPEC allies including Russia are scheduled to meet later this month to discuss prolonging the cuts through 2018. Saudi Arabia, which for decades fought hard to be the second-largest oil supplier to the U.S. after Canada, last month dropped to fourth position for the first time since at least 1990, falling behind Iraq and Mexico. The drop in supplies has been so dramatic that Motiva bought in July almost exactly the same amount of crude from Saudi Arabia (4.01 million barrels) as it did from Iraq (3.96 million), according to custom data. Saudi crude that month accounted for just 36 percent of Motiva’s imports, down from a typical 70-90 percent in the past.In August, the most recent monthly data available at company level, Saudi crude accounted for less than half of Motiva’s imports. The combination of falling Saudi oil exports into the U.S. last year, cheap crude and higher exports of American weapons had already turned upside-down the trade relationship between the two countries. 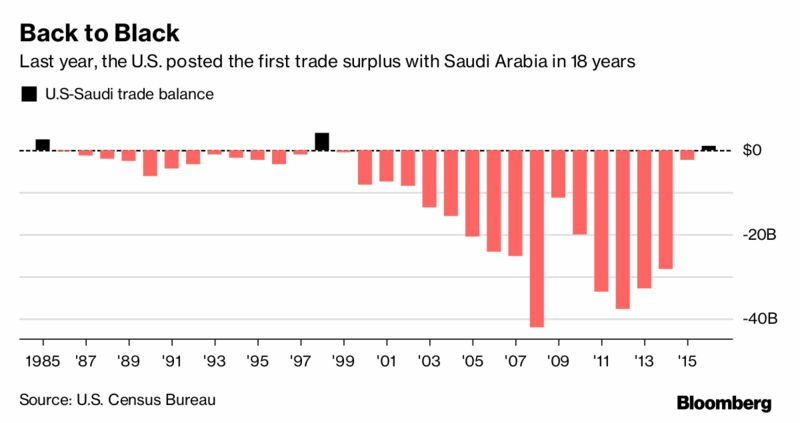 Last year, the U.S. enjoyed its first trade surplus with Saudi Arabia since 1998 -- only the third in 30 years, according to data from the U.S. Census Bureau. The sharper cuts in oil exports since the summer will likely amplify that trend. As Saudi supplies fell, U.S. crude inventories dropped sharply over the summer and autumn to their lowest since January 2016. Oil prices have followed and Brent, the global benchmark, traded at a two-year high above $60 a barrel this month. "The policy has been a tremendous success," said Anas Alhajji, a Dallas-based oil consultant who tracks Saudi oil policy. "The U.S. is the only country in the world that publishes oil inventories data on a weekly basis and investors closely follow it. Saudi Arabia needed to focus on the data that matters to investors, and it did by lowering exports to the U.S."
Saudi officials said that oil exports are set to drop even further in this month and next, with shipments into the U.S. expected to fall another 10 percent from November. "The cuts show that when the Saudis say they will do ’whatever it takes’ they mean it," said Helima Croft, global head of commodity strategy at RBC Capital Markets LLC and a former analyst at the Central Intelligence Agency. Yet, driving its exports into the U.S. to a three-decade low isn’t without risks for Riyadh. Once a country gives up its market share, it can be costly to recover it. 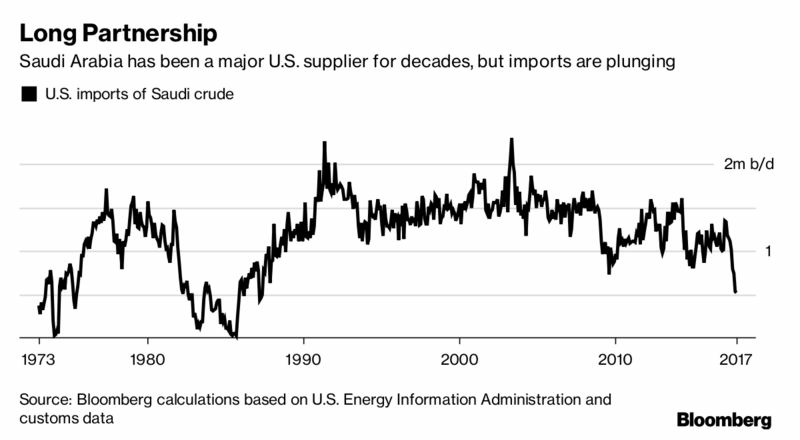 The drop in Saudi shipments also reflects the changing U.S. energy market as rising shale production reduces the overall need for foreign oil. The EIA expects U.S. output to reach an all-time high of 10.1 million barrels a day by December 2018. The International Energy Agency painted a rosy outlook for U.S. domestic production up to 2025 in its annual World Energy Outlook flagship report, saying the surge in oil and gas output in America is the biggest boom in history. However, owning Motiva gives Saudi Arabia a route to regaining market share, traders and refining executives said. "Motiva has taken the brunt of the Saudi cuts, so Riyadh would be able to increase exports to the U.S. relatively easily in the future as and when they decide to reverse the policy," said Sen at Energy Aspects. For the Saudi Arabian Oil Co., as Aramco is formally known, the loss of market share comes at a delicate moment. The company is preparing for an initial public offering that Riyadh hopes will value the company at an eye-watering $2 trillion. The American market has long been Aramco’s most prized, and the Port Arthur refinery is one of the company’s jewels -- nearly $10 billion was spent expanding its capacity in 2013. In preparation of its initial public offering, scheduled for the second half of 2018, Aramco earlier this year paid to $2.2 billion to take full control of Motiva, dissolving a 50-50 joint-venture it held with Royal Dutch Shell Plc. At any other time, the loss of U.S. market share would have worried the Saudi regime, fearing a loss in political influence. But with President Donald Trump, the Saudis believe the strength of their relationship with the White House is as good as it’s been in decades, said David Goldwyn, a Washington-based energy consultant and former U.S. State Department top oil diplomat. "The Saudis are not worried about the need to have U.S. oil market share to secure themselves diplomatically," Goldwyn said. The shift away from the U.S. show the increasing important of Asian markets for Saudi Arabia, most notably China, but also India, Indonesia, Japan and South Korea. While Saudi exports to the U.S. plunged, sales in Japan earlier this year jumped to a 28-year high. "Saudi Arabia doesn’t care any more about its market share in the U.S -- it’s going after the Asian market," said Jan Stuart, an oil economist at consultant Cornerstone Macro LLC in New York.